The skin’s natural pH is on the acidic end of the scale, measuring about 4 to 5.5. The skin has a protective layer called the acid mantle made up of sebum and fatty acids. High pH cleansers upset the pH balance of the skin and leave it open to infection and inflammation. Low pH cleansers could be the way to go for a clean, balanced cleansing. ‘pH’ stands for potential of hydrogen. The pH scale is a measure of acidity. It goes from 0 to 14 with 0 being the most acidic and 14 being the most alkaline (aka basic). A neutral pH is 7. The skin’s natural pH falls on the acidic end of the scale, at between 4 and 5.5. Maintaining this balance is important for healthy skin. On the surface of the skin lies a protective layer that is made of sebum (fatty acids) secreted by the skin’s oil glands, amino acids and sweat. This ‘acid mantle’ is responsible for keeping in moisture, repelling harmful microbes that could cause infections and shed dead skin cells. To do its job properly, its acidic pH must be maintained. Even a slight rise of one point on the pH scale can compromise its integrity. A 2017 study demonstrated that skin with a high pH is prone to acne due to instability of the acid mantle. Surfactants are a major component in cleansers that help them do their job. They’re compounds that reduce the surface tension of water and make it easier for molecules to slide past each other without sticking. This mechanism helps them cut through oil and grease. Soap is one kind of surfactant. Dermatologists advise against using soap-based cleansers because soap itself is quite alkaline, with a pH of 10. After using a soap-based cleanser, your skin’s pH balance will be off and will take hours to recalibrate, resulting in red skin that may be too oily or dry. On the other hand, non-soap based cleansers called syndets use synthetic detergents as surfactants. These types of surfactants have a neutral or acidic pH and are thus less irritating to the skin and won’t upset its acid balance. The beneficial flora that grows on the skin needs an acidic environment to thrive. When the skin’s alkalinity increases, these good bacteria decrease in number, leaving the skin susceptible to infection. Maintaining the skin’s acid balance prevents acne vulgaris. The bacteria that cause acne, Propionibacterium acnes, thrive when the skin’s pH rises by just one point. In a 2013 study, researchers compared the number of acne lesions in two groups based on the type of cleanser they were given. The group that used a soap-based, alkaline cleanser had more acne lesions than the group that used a non-soap, low pH cleanser. Facial cleansing is an important part of skin maintenance. A few key cleansing tips can help you get the most out of your skincare routine and avoid some common pitfalls. First, wash your face twice a day: once in the morning and again before bed. Washing in the morning gets rid of the oil and debris that accumulates overnight while washing again at night lets your skin breathe free of makeup and the day’s dirt as you sleep. 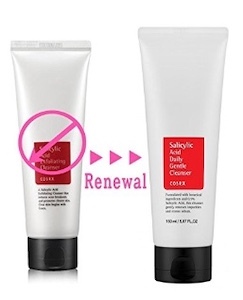 If you have oily skin, consider performing a double cleanse. Before washing your face with your favorite low pH cleanser, remove your makeup and wipe off any excess oil with a makeup remover or oils, such as olive oil, tea tree oil or coconut oil. An added benefit of using oils is that they also nourish the skin. Try to exfoliate your skin once a week to remove dead skin cells and keep your pores unclogged. Avoid washing your face with hot water as it can irritate your skin. Wash with warm or cold water instead. After washing your face, avoid briskly rubbing it with a towel. Instead, gently pat it dry, especially if you have sensitive skin. Lastly, it’s important to change your towels after a maximum of three uses as they can become a breeding ground for bacteria. The following cleansers all use non-soap surfactants and have a pH under 6. They’re also all available through Amazon and have gotten good user reviews. 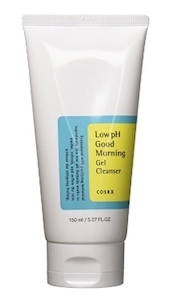 This gel cleanser is very gentle and works for all skin types even sensitive skin. It’s composed of botanical extracts that help to exfoliate the skin without irritating it and can be used daily as part of your skin care regimen. Made with salicylic acid, this facial cleanser helps to reduce acne breakouts without drying out your skin. Since it is pH balanced, it will not interfere with your skin’s surface chemistry and is good for every skin type. A foaming facial cleanser from Korea, the Sulwhasoo Snowise Brightening Cleansing Foam is composed of Korean herbs and formulated to work with the acidity of your skin. Whether you have oily skin, dry skin or sensitive skin, it is safe to use every day. This cleanser has a gentle, pH balanced formula that cleanses the skin without irritating it and stripping it of moisture. Containing three ceramides – the building blocks of the acid mantle – and niacinamide, a type of vitamin B3, this cleanser actively helps to nourish the skin. It also contains hyaluronic acid to retain moisture and prevent it from drying out. This product is not only pH balanced but is also loaded with nutrients. Its formula consists of botanical extracts to help nourish the skin and combat inflammation, including arctic blackcurrant seed oil (with omega 3 and seven fatty acids), seabuckthorn berry oil, fennel seed extract (with peroxidase enzymes) and calendula (with flavonoids). Using a facial cleanser that is pH balanced to work with the chemistry of your skin is an essential part of maintaining a healthy, glowing complexion. High pH cleansers destroy the acid mantle, which protects the skin against infection and inflammation. 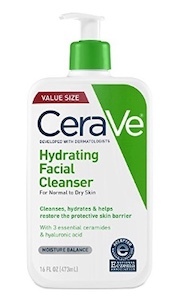 Use a low pH cleanser instead to get your skin clean without interfering with your skin’s natural protective barrier. Your skin will thank you.